Uhhm…. it’s been a while. SO long that I could not remember my blog login or password. What can I say, it has been a very busy wedding season full of beautiful weddings. 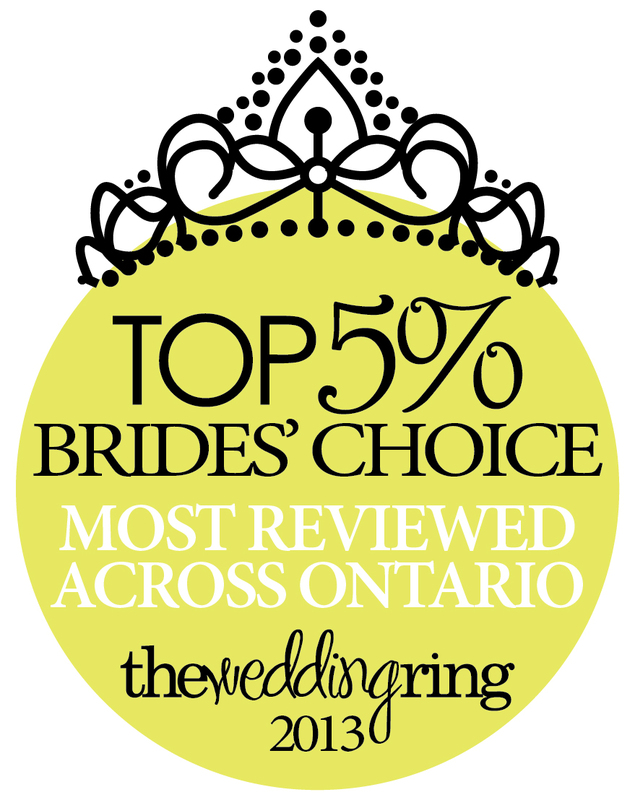 Want proof – visit our facebook page and see all the pretty brides. I will blog all winter to get caught up, and show off everything we have been up to over the last several months. In the mean time, I had to share this little treat… thanks to all my wonderful clients!! You’ve been recognized by brides as a favourite in The Wedding Ring. Whether it’s most reviewed, highest LOVEit votes, or the combination of all of these, you’ve made one or more of the lists! Thanks again for being amazing at what you do.